Client will review the logo design and will send comments/changes to M&O. M&O will upload the first five items provided that client produces an excel sheet with the following columns: Name of product, Description, Product type, Product vendor, Inventory quantity and price. Client is responsible of uploading the rest of the products via web administration unless it is agreed and requested otherwise. The client is responsible for payment of the shopping cart’s monthly fee. Exclusions. Prices quoted are exclusive of (1) postal charges, federal express, couriers, facsimile charges, long distance telephone charges, and other costs of project specific communications, (2) costs of purchasing or licensing graphics and stock photography, sound or other content from third parties, (3) cost of advertising services from third parties, (4) cost of any form of production such as but not limited to: Printing – Printing Production – Photography, Broadcast or Radio Production – Art Direction for Photography, Broadcast or Radio Production – Voice Talent – Talent, (5) cost of any production related materials such as but not limited to: Mock Ups – CD/DVDs – Blue Proofs – Digital Photography Retouching – High Resolution Scanning, (6) Cost of media, public relations, direct marketing, promotions, events, and any other costs relating to the promotion of the client, (7) cost of acquiring research material such as market research by third parties. (8) Permits that may be necessary to obtain permission from governing entities for the purpose of photographic shoots, outdoor artwork installation, etc. (9) Travel expenses including airfare, lodging, transfers and meals if required or deemed necessary for the execution of this project are not included and will be billed separately. (10) Any tax, duty or other levies. (11) Travel expenses and extra working hours during working trips are not considered in this Proposal, and should be charged extra according to client needs. Limitation of Liability. M&O warrants that the services described in this proposal will be provided in a professional manner. Other than this warranty, M&O makes and the client receives no express or implied warranties, including without limitation any express or implied warranties of merchantability or fitness for a particular purpose. The client understands and agrees that any liability of M&O regarding the design and creativity services provided for its project shall be limited to the amount of fees actually received by M&O in connection with the design and creativity services provided for its project, and shall not include any special, incidental, consequential or punitive damages, any damages based on injury to person or property, or any lost sales or profits. Third party claims. 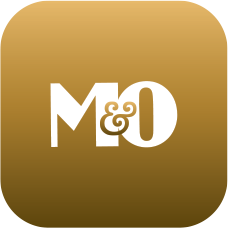 M&O shall not be liable for claims made against the client or M&O arising out of services provided to the client by M&O, and the client hereby indemnifies and holds M&O harmless from and against any and all claims, of every nature or type that may be brought or asserted by any other party. Law and Venue. This Agreement shall be governed and construed in accordance with the laws of the State of Florida. Venue for any litigation shall be in Miami. Scope. Any additional projects or services requested by Client and not outlined in the Scope of Services of this agreement, will be subject to a separate agreement and compensation arrangement. Revisions. Revisions to each job are contemplated in the present scope and limited to 2 client-initiated revisions per job. Additional revisions will be billed at the hourly rate of $85. Entire Agreement. The foregoing constitutes the entire agreement between Agency and client with respect to the subject matter contained herein, and supersedes all other prior written or oral agreements and under takings with respect to such subject matter. This Agreement is not subject to cancellation or modification after execution and signature, except by mutual written agreement.